“I cannot stress enough how grateful I am to have been in the room with the men who have affected Strength and Conditioning as much as these men did. I loved being able to listen to them and learn from them,” added Devin Woodhouse, Kansas City Chiefs. 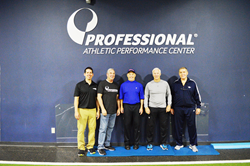 Professional Seminars, a leading continuing education provider in the field of physical therapy and sports medicine, welcomed 150 attendees to their Athletic Performance Summit, featuring six legends of strength and conditioning, held on Saturday, May 20th and Sunday, May 21st in Garden City, Long Island. 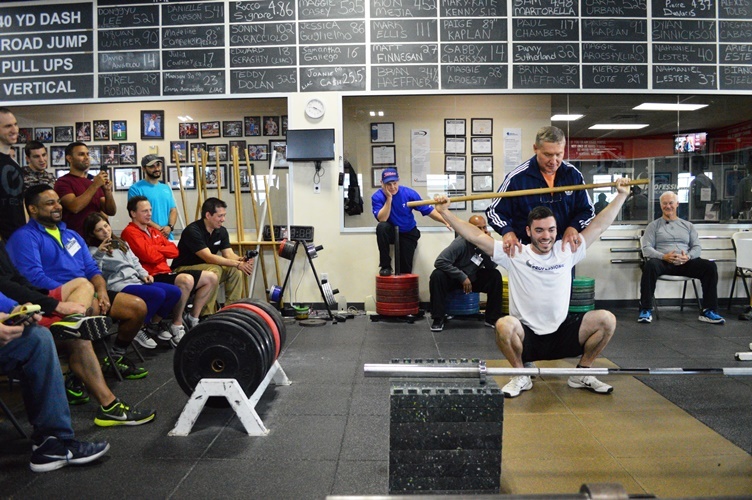 The Athletic Performance Summit was an epic event, in that it brought six major influencers in the strength and conditioning world together for the first time, to provide their expertise to sports performance coaches. 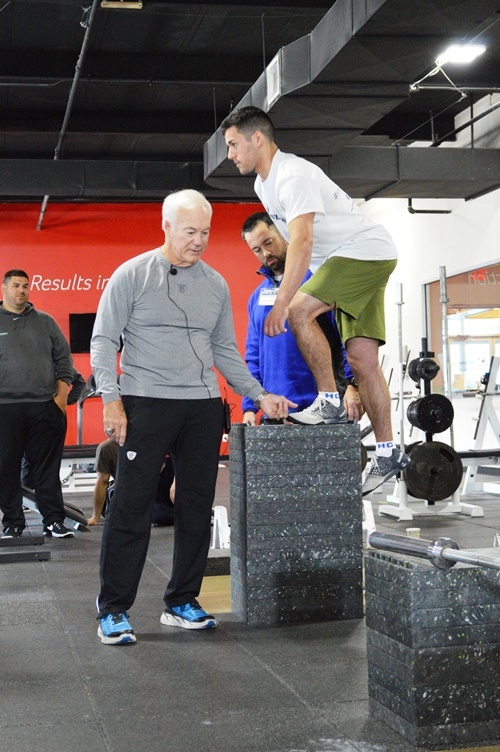 The course speakers included Al Miller (4-time Super Bowl Strength & Conditioning Coach), Al Vermeil (7-time World Champion Strength & Conditioning Coach), Johnny Parker (3-time Super Bowl Champion Strength & Conditioning Coach), Don Chu (CSCCa and NATA Hall of Fame Inductee), Derek Hansen (Internationally Renowned Speed Development Expert), and Professional’s own Chief Clinical Officer, Rob Panariello (CSCCa Hall of Fame) – all of whom have extensive experience working with professional sports teams or individual professional athletes throughout their careers. 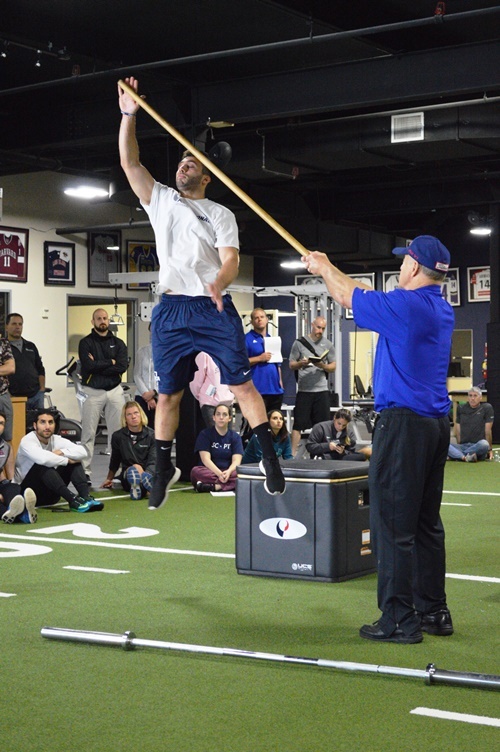 Among the attendees were strength and conditioning coaches from 22 professional sports teams and top colleges and universities nationwide. Coaches from the Kansas City Chiefs, Chicago Bears, and Philadelphia Eagles in the NFL, as well as Minnesota Wild from the NHL, were in attendance. Coaches from “Ole Miss,” St. John’s University, Temple University, and University of North Carolina, among others, were also present for the course. 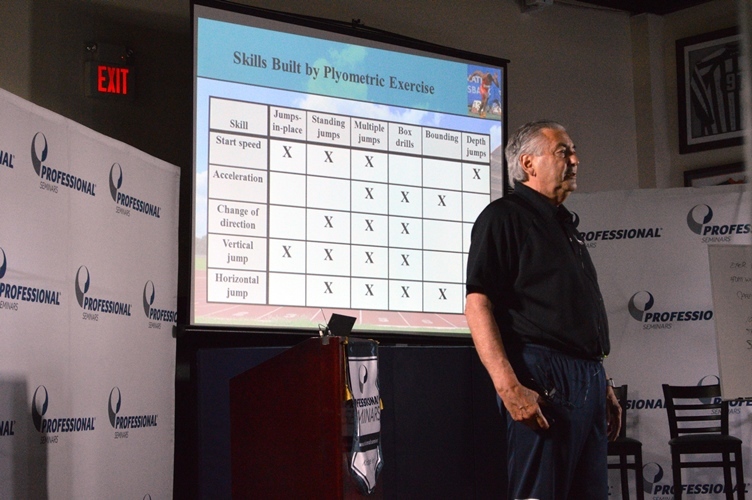 The two-day summit took place at the Professional Athletic Performance Center (PAPC) in Garden City, NY, and provided attendees with valuable information for optimal performance enhancement and training of athletes, ranging from the post-rehabilitated athlete returning to off-season training, to athletes who want to enhance their current level of performance. 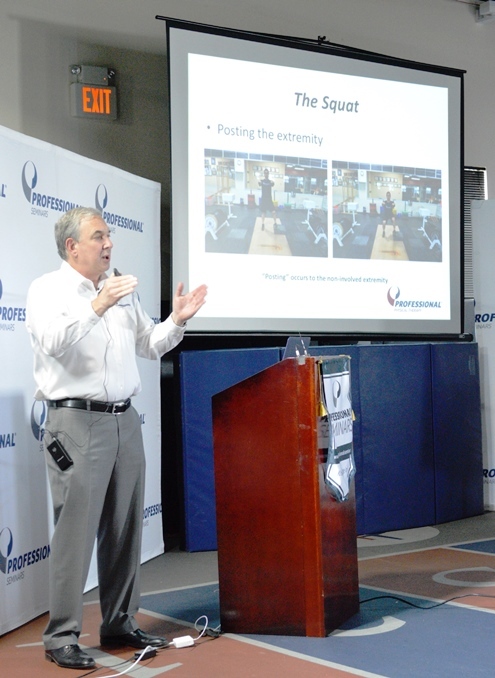 The course consisted of lectures, presentations, and laboratory sessions with exercise instruction and demonstrations, aimed at helping coaches improve athletes’ strength, power, elastic strength, and speed. Professional Seminars will host approximately 10 major courses throughout 2017. For information on faculty, upcoming courses, and pricing, visit http://www.professionalseminars.com. 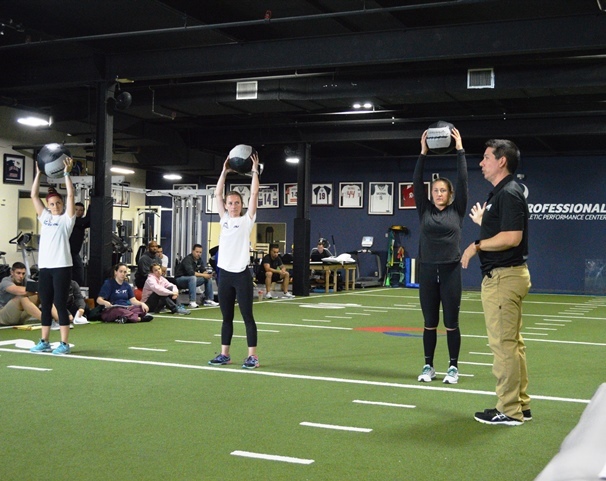 Professional Seminars is an accredited CEU provider and is recognized by the Board of Certification (BOC), and the NY State Education Department to offer education and NSCA approval for select courses. Professional Seminars is committed to providing quality continuing education programs for all current, as well as future rehabilitation professionals. Professional Seminars is a division of Professional Physical Therapy’s Clinical Excellence Department. Professional Seminars was established in 2011 as a means to provide access to high quality continuing education for Sports Medicine and other allied health professionals, as well as students in the related field. Professional Seminars’ courses provide access to the latest techniques and trends in the industry, and include faculty renowned throughout the various allied health professions. For information on faculty, upcoming courses, and pricing, visit http://www.ProfessionalSeminars.com. Professional Physical Therapy, headquartered in Uniondale, New York, is a leading provider of physical and hand therapy and rehabilitation services throughout the New York metropolitan area, New Jersey, Connecticut, Massachusetts, and New Hampshire. Professional is an award-winning organization, honored as the recipient of the 2016 ADVANCE for Physical Therapy and Rehab Medicine magazine’s annual Practice of the Year award, selected based on clinical expertise and exceptional patient experience. Most recently, Professional has been named among the best workplaces in health care by Fortune Magazine; the only physical therapy company to achieve this honor. Founded in 1998, Professional Physical Therapy operates 137 outpatient physical and hand therapy centers: 12 located within Equinox Fitness Centers, five located in Blink Fitness facilities, one located in a STACK Sports Performance Center, one inside a Golf & Fitness Academy, one inside Chatham Club, one inside Strive Fitness, and 116 standalone. The company’s outpatient physical therapy centers provide treatment to patients suffering from musculoskeletal impairments associated with orthopedic and sports injuries and other medical conditions. Professional’s Sports Medicine Department has the largest team of certified athletic trainers in the New York Metro area, serving schools in Westchester, Long Island, New York City, and New Jersey, as well as per diem coverage for more than 2000 events each year. Professional Physical Therapy also operates a 20,000 square foot sports performance training facility in Garden City, NY, as well as four fitness centers in Stamford, Wilton, Southport, CT, and Copiague, NY.